While sales functions have changed its evolution has been just as dramatic as its sister discipline of marketing. 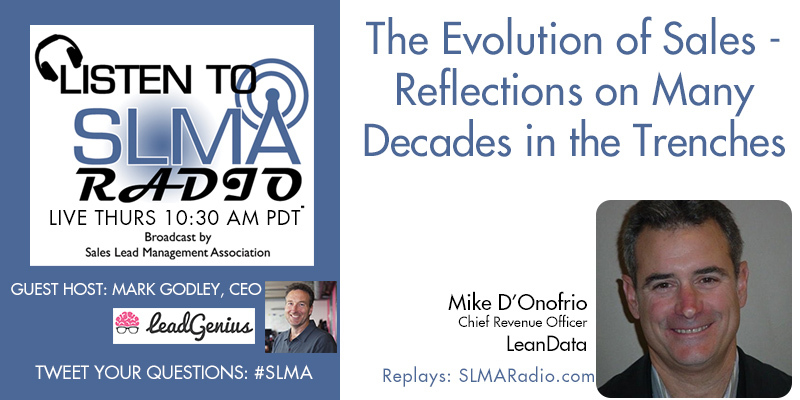 In this program, host Mark Godley, CEO of LeadGenuis will interview Mike D'Onofrio Chief Revenue Officer of LeanData. Mark explores with Mike why today is the best of times to be in sales and the expected future of the sales profession. The program guest host is Mark Godley.